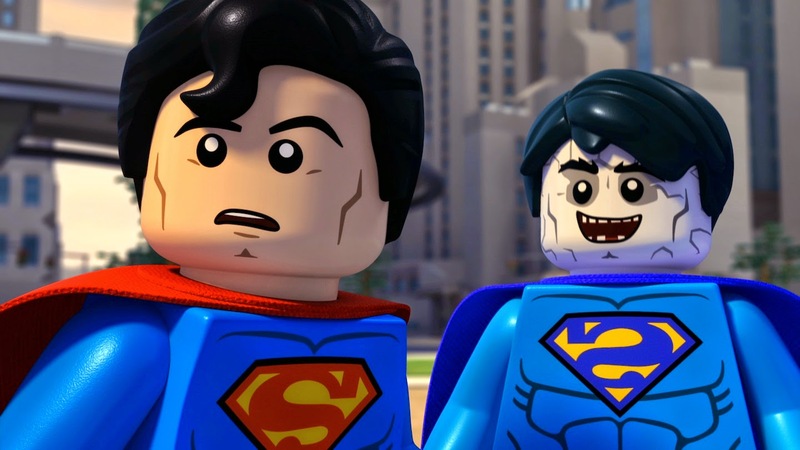 Wilderowens and I attended the NYC premiere of 'Lego DC Comics Super Heroes: Justice League vs. Bizarro League.' This was a treat because we got to see it with its intended audience - kids. There's something great about listening to kids go nuts over their favorite superheroes. The movie begins in Metropolis with Bizarro "saving" some kids in a playground and causing a hefty amount of damage in the process. Superman comes to handle Bizarro and decides to take Bizarro to a slightly off-kilter planet that can be all his own. Bizarro understands that he's getting a brush-off, but stays. We flash forward a year, and Bizarro returns for unknown reasons. Superman is embarrassed he has to deal with him again and tries to take care of Bizarro on his own, but between Batman's paranoia and distrust of Superman, and the Justice League's desire to work as a team, Superman is stuck with everyone knowing his "dirty little secret." Bizarro breaks into LexCorp Labs and steals the duplicator device used to create him. He uses it on the Justice League, creating their opposite, bizarro version of themselves, then takes them to Bizzaro World. The original Justice League follows and there we find out why Bizzaro created a new team, and Superman learns to accept Bizzaro for who he is and as a part of his family. 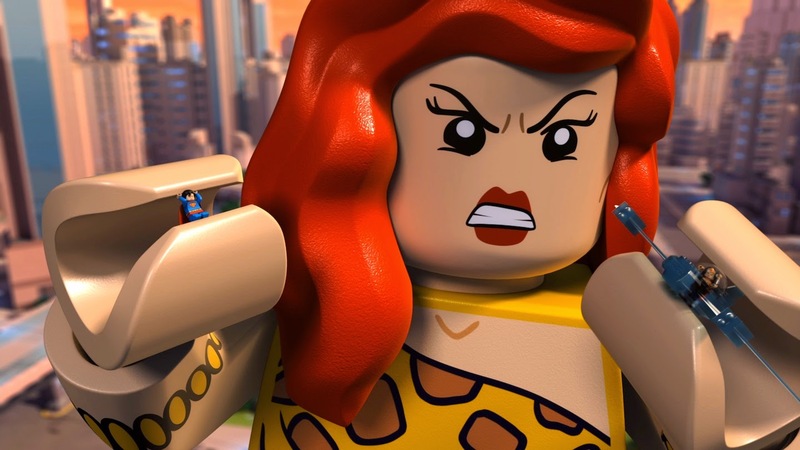 While this isn't my favorite Lego DCU movie, it's a solid story. I think the reason I didn't enjoy it as much as previous stories is because it felt a little rushed. If they had an extra 15 mins or so, it would have helped the story. That said, kids are going to love it. It's silly and funny, has a lot of heart, and it's made of Legos. How could they not like it? The visuals are wonderful. Because Legos have to move in a very particular way, you can see the creativity put into the movie. It's not just animation. It's animation and physics and a hint of wizardry combined. Two of my favorite moments were seeing Plastic Man take on Deathstroke and the troop of Boy Scouts take on Gorilla Grodd from the air and on the group. As usual, the voice actors are on point. 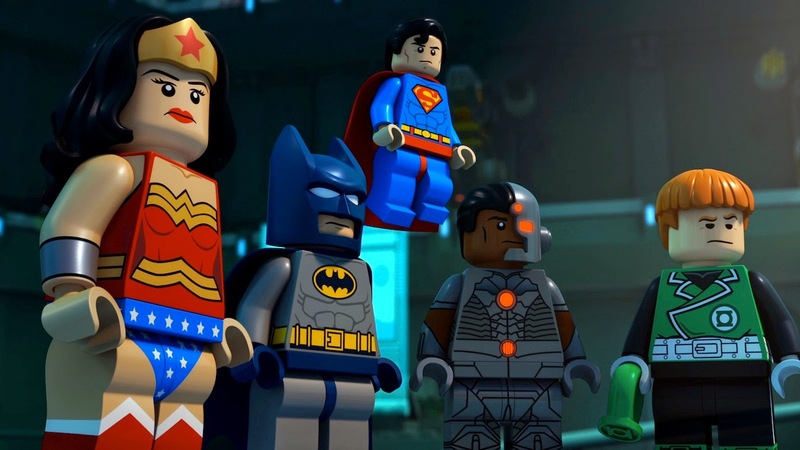 Troy Baker is back as Batman/Batzarro, Nolan North as Superman/Bizarro, Diedrich Bader as Guy Garner/Greenzarro, Kari Wahlgren as Wonder Woman/Bizzara, Phil Morris as Green Arrow/Hawkman, James Arnold Taylor as The Flash/Desaad, April Winchell as Giganta, and Tony Todd as Darkseid. It's a great line up of talent and they deliver. Nolan North, in particular, needs special recognition because he really made me care about Bizarro. The first time he said he was saving Metropolis and smiled, all I wanted to do was give him a hug. By the end, I wanted to give him a good home with my Legos, which clearly means I'm a little nuts and in need of a Bizarro mini-fig. 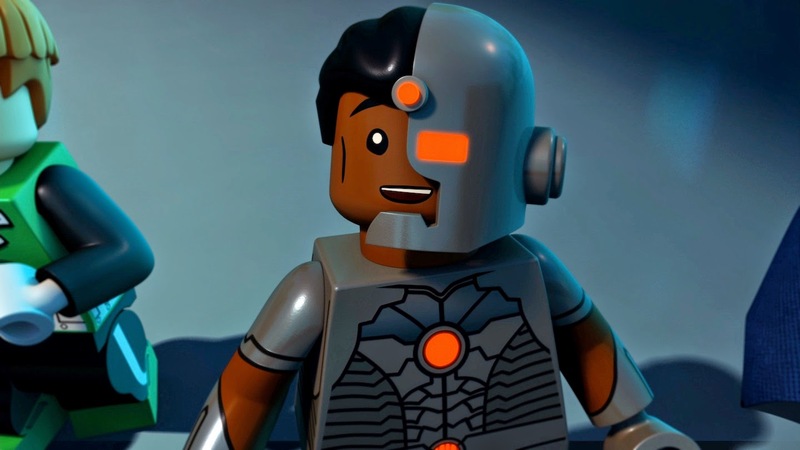 I'd also like to extend a special nod to Khary Payton, who voices Cyborg, and is the best fanboy anyone could ask for. I think he really represents what we would all be like if we were given the chance to hang with the Justice League. 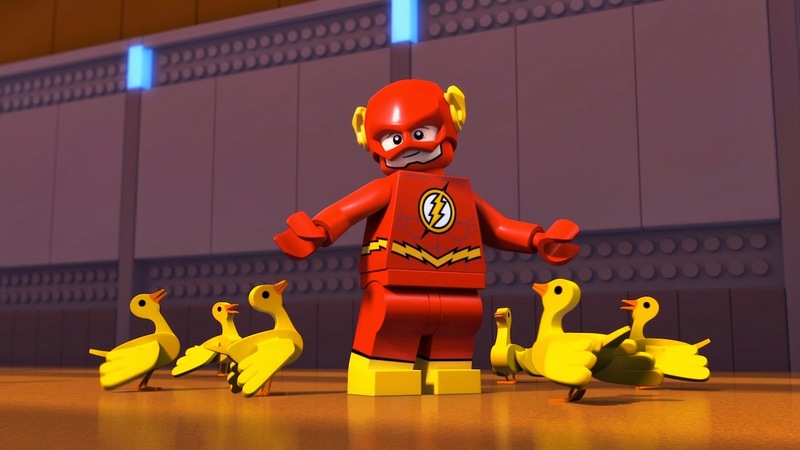 Moving forward, I'd like to see more Lego DCU movies, particularly one that features the Flash who, due to time constructions, did not get a Bizarro version of himself, which was such a shame. I'd also really love to see more involvement with the female superheroes/villains. Wonder Woman is great, but there are plenty more females to use. In a fantasy, there'd be a movie strictly from the females' POV with the guys on the periphery, and the women not only save the day, but they'd point out how all the men get the credit while the ladies did all the work, but in a humorous and light-hearted way. On a parent scale of "oh please, not again" to "sure, we can watch it another 50 times," I'd rate this a "we can watch it a few times this week, but then we should read something." For those on the normal scale, I'd give this 3.5 stars out 5. 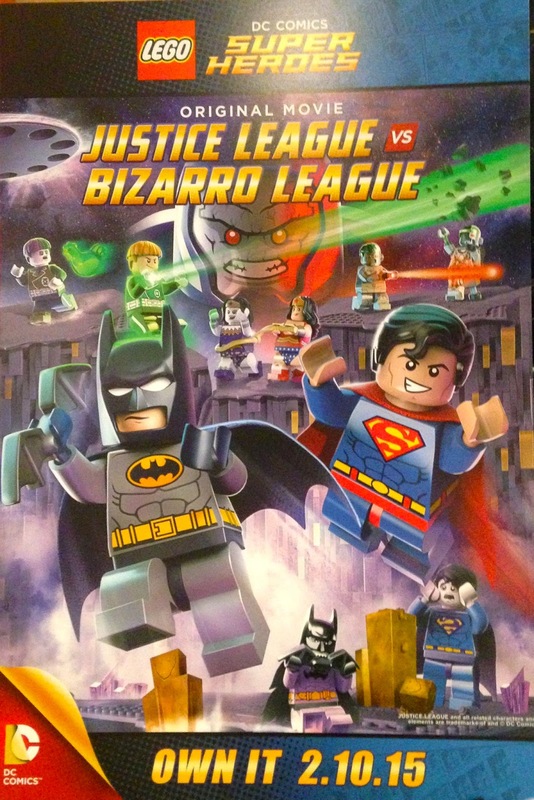 LEGO: DC Comics Super Heroes: Justice League vs. Bizarro League will be out Feb. 10th. You can get it on Blu-Ray or DVD. All Other Photos Courtesy of Warner Bros. Home Entertainment Like what you just read? Let us know in the comments below and keep up to date by following us on Twitter, Facebook and Tumblr! Labels: DC SUPER HEROES, Justice League vs. Bizarro League, LEGO, Warner Bros.